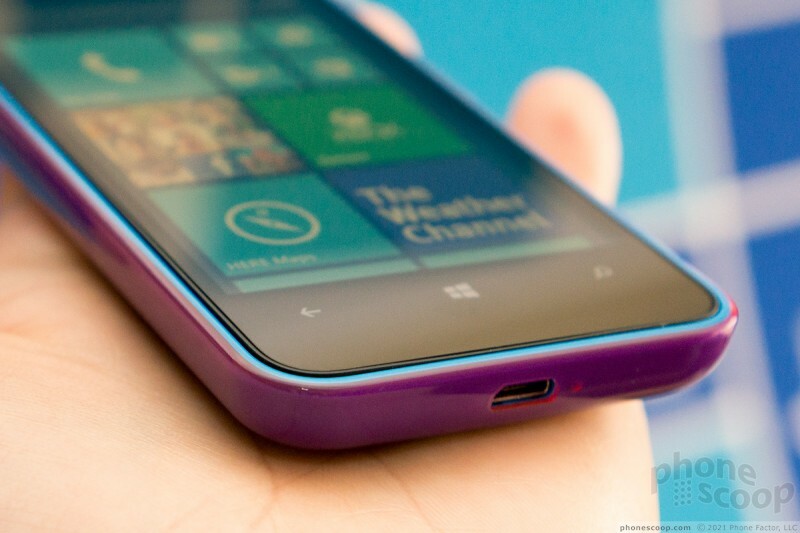 We spent some time with the new Lumia 620 for Aio, AT&T's new prepaid experiment. This cute little phone has a unique design. Here's what we thought of it. 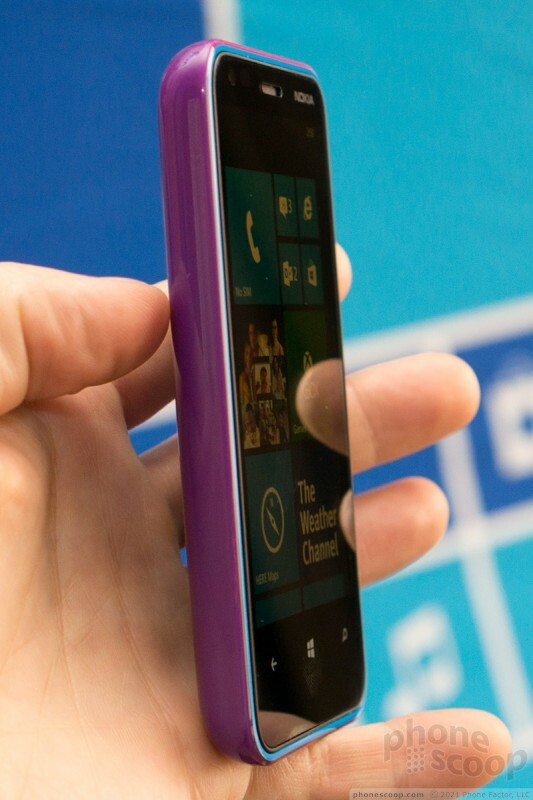 Nokia's Lumia 620 is a small, cute little phone with a distinctive design. Back in the early days of mass-market cell phones, Nokia was known for making phones that hit a sweet spot of affordable price, high-quality build, and stylish design. Many of them also sported colorful "Xpress-on" changeable shells. 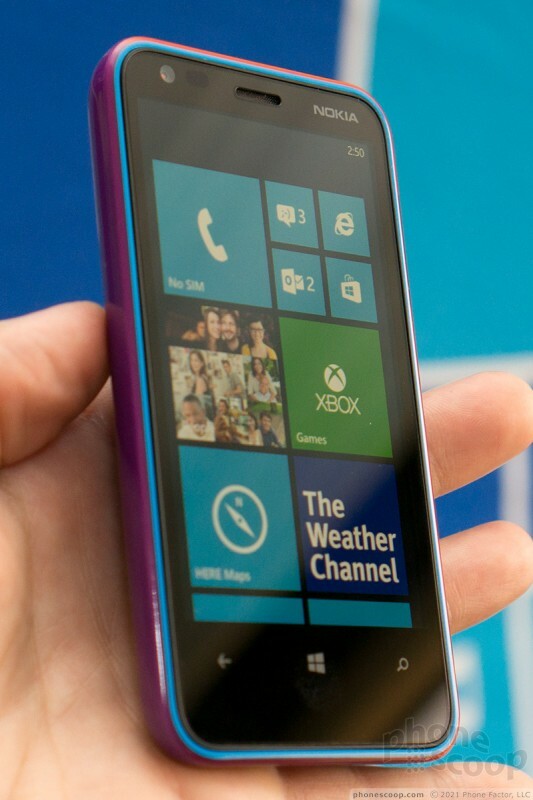 With the 620, Nokia seems to be trying to return to those roots. The design of the 620 is simple, much like the 520 and 521. 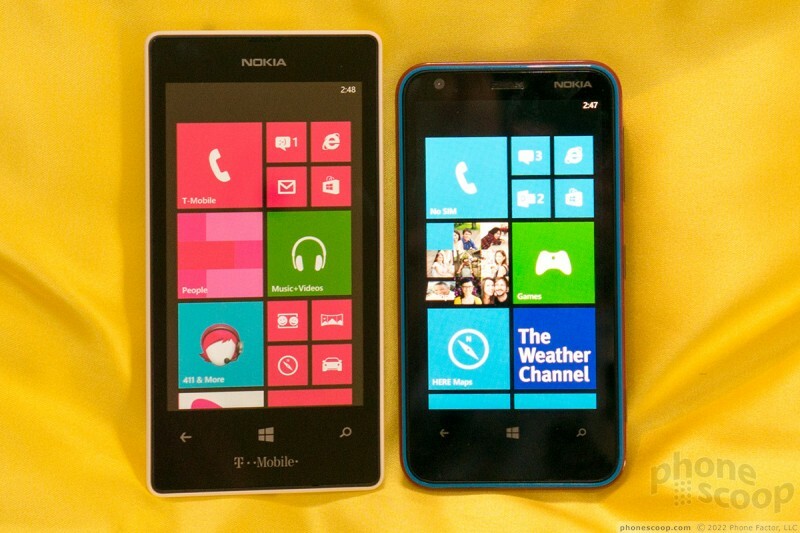 Both have a flat glass front and a colorful plastic shell that snaps off. 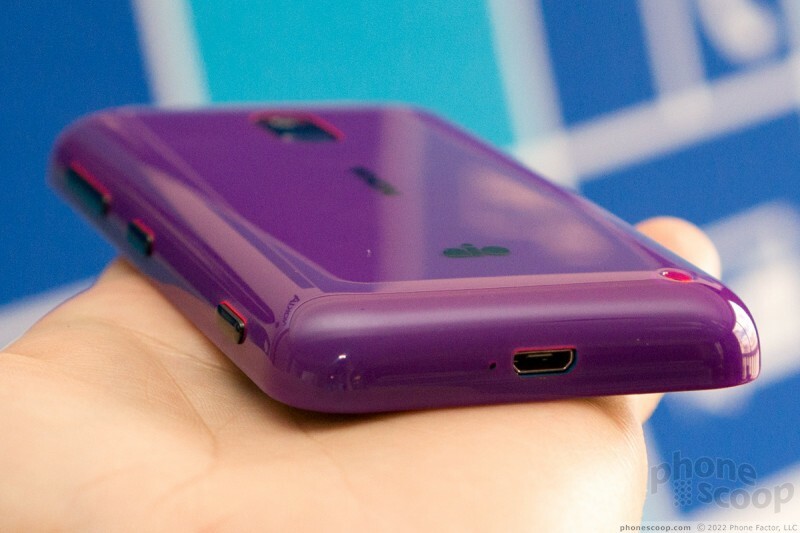 The back cover wraps around to form the sides, such that the front meets the back at a sharp corner surrounding the front glass. It's not the most comfortable design to hold, but it's simple and durable, and - I imagine - helps keeps costs down. 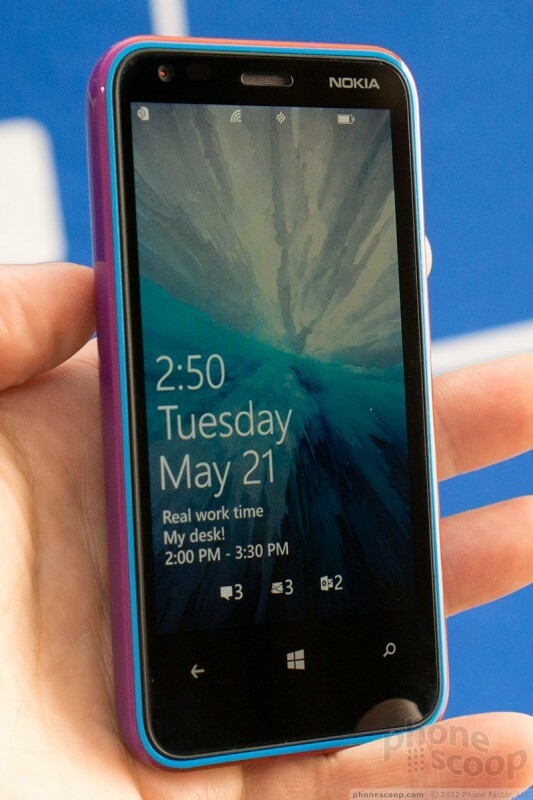 It also makes it very easy to change the look of the phone completely with a different shell. The 620 differs from the 520/521 most obviously with its tri-tone translucent plastic that turns different colors at the edges. The one we handled was mostly purple, but blue around the front and red around the buttons and jacks. The effect is unique and eye-catching, without looking gaudy. 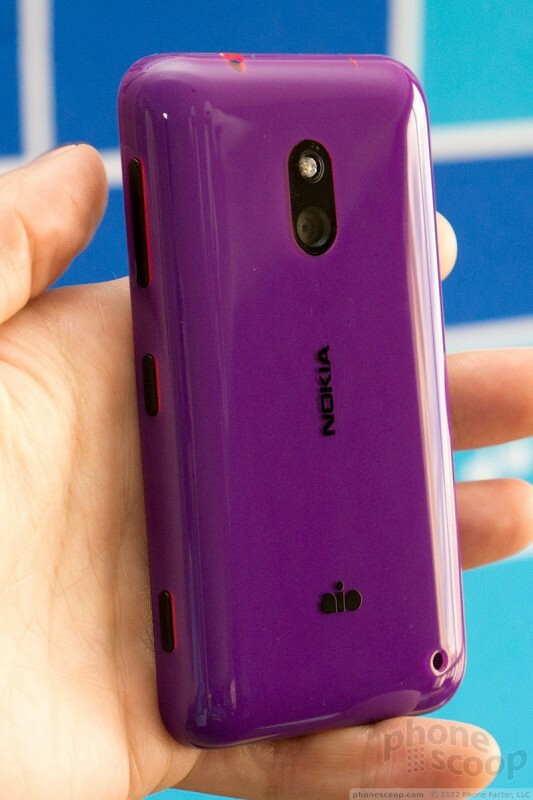 Nokia only had the purple shell on hand for us, but promised many colors will be available. The body of the 620 feels very much like the plastic that it is, but it also feels like very solid, durable plastic. It's a tiny plastic tank. The side keys all work well. Speaking of tanks, this is not a thin phone. That's fine since it's quite small in the other dimensions, but it's thick, to be sure. 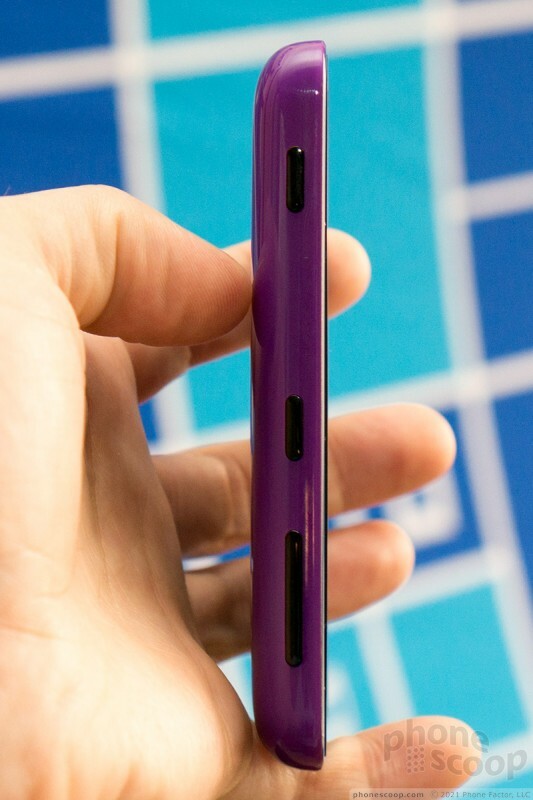 Actually, it's not clear that Nokia even cared to make it thin. 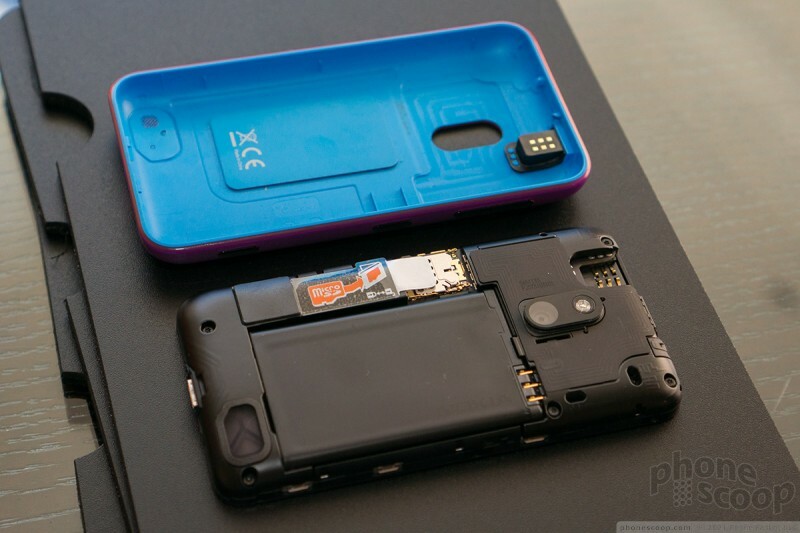 There's a surprisingly thick foam spacer between the battery and the shell that just takes up space and keeps the battery from rattling around. The way the phone and cover fit together is totally unique. Not only are the side keys built into the cover, but the entire headset jack is, as well. 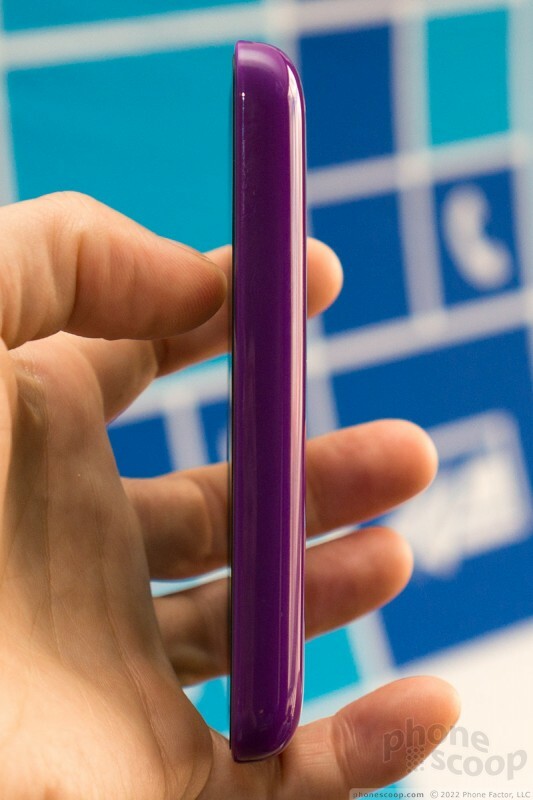 That's a nifty, creative bit of engineering to get the clean design that make a Lumia phone distinctive. Look for the 620 under AT&T's Aio brand this year. 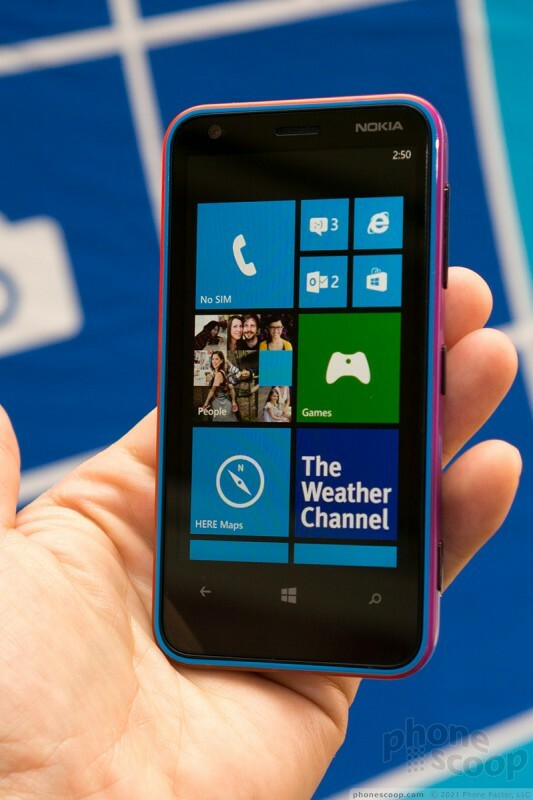 Nokia today announced a low-cost Windows Phone called the Lumia 620. 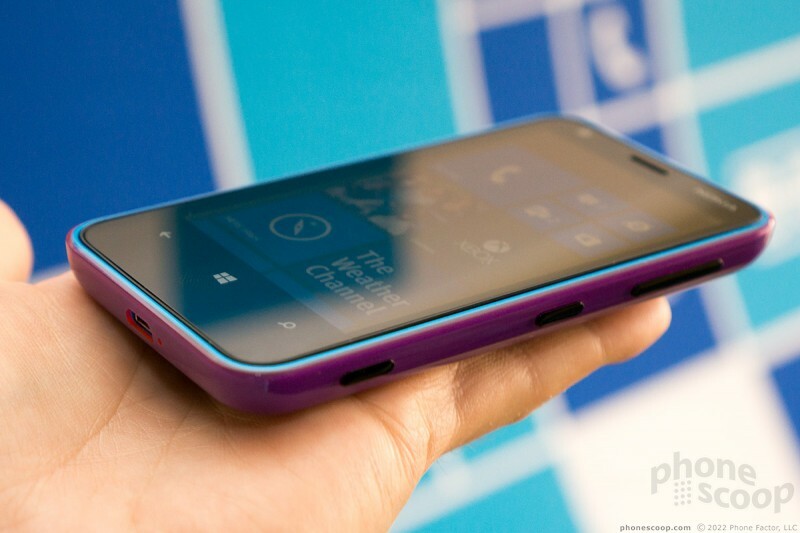 Nokia hopes to attract younger users with the 620, which blends colored layers of polycarbonate to create new hues. Aio Wireless, a subsidiary of AT&T, today launched its new, no-contract wireless service in the U.S. The wireless network is first available in Houston, Orlando, and Tampa, and will gradually expand across AT&T's footprint around the U.S.
Nokia today introduced five new phones, all of which run a clean version of Android One, with a promise of three years of Android updates. 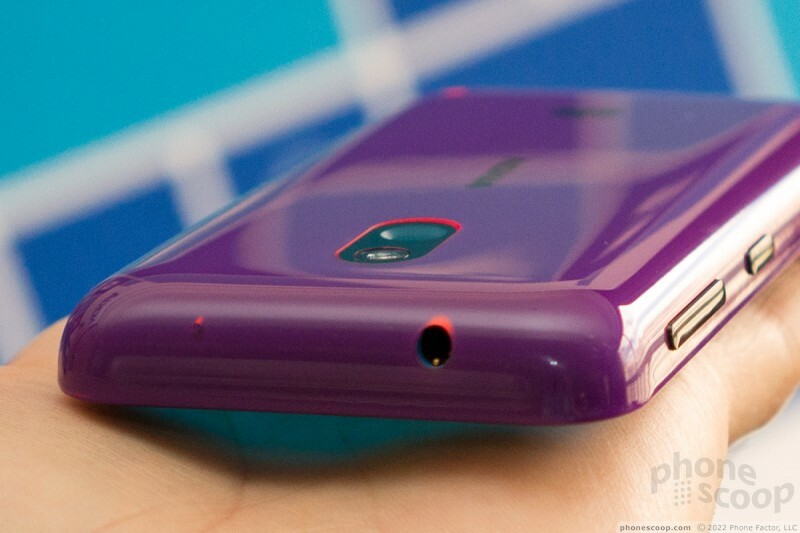 The new range includes a unique new camera-oriented flagship, three very affordable Android models, and one feature phone. Here has renamed and refreshed its core mobile mapping service for Android and iOS devices. Here Maps is now called Here WeGo. Microsoft is looking to clear inventory of the Lumia 950 XL and Lumia 950 smartphones, which means consumers can buy one at full price and get the second one for free. The deal is available via Microsoft's U.S. There's a special way you need to train the fancy new in-display fingerprint reader on the Samsung Galaxy S10. Some will get it right the first time, while others will be fooled by the misleading graphics during the training process. Kyocera's US phone lineup is down to just rugged phones these days, where they compete with Sonim. Kyocera's been at this for a while, though, so the DuraForce Pro 2 is building on quite a bit of experience. The new Samsung Galaxy S10 isn't just one or two phones, but a series of four phones. We spent some time with the S10e, S10, S10+, and S10 5G. How much smaller is the S10e? The Samsung Galaxy S10 5G might as well be synonymous with 5G at the moment. Every major US carrier will offer it as one of their first 5G phones. Nokia's new flagship phone has a crazy array of five cameras on the back, which use technology from Light to produce images with impressive quality and unique features. It's also a nice flagship phone in its own right, finally bringing the Nokia brand back to the high end of the market. Moto's new g-series phones bring up-to-date features, upgraded specs, and clean Google software to three models ranging from $200 to $300. This year's series moves to a notched-screen design, steps up to a Qualcomm Snapdragon 632 processor, and supports USB-C across the board. The Samsung Galaxy S10 series covers a wide range of prices, from $750 up to $1,600 for the best S10+, the Ceramic edition with 12 GB RAM and 1 TB storage. Although Samsung initially announced pricing only for the lowest-memory configuration of each S10 model, US carriers have now revealed additional details and deals, including pricing for the high-memory configurations, and monthly payment options. All content Copyright 2001-2019 Phone Factor, LLC. All Rights Reserved. Content on this site may not be copied or republished without formal permission. This is a preview. Click for full glossary page.